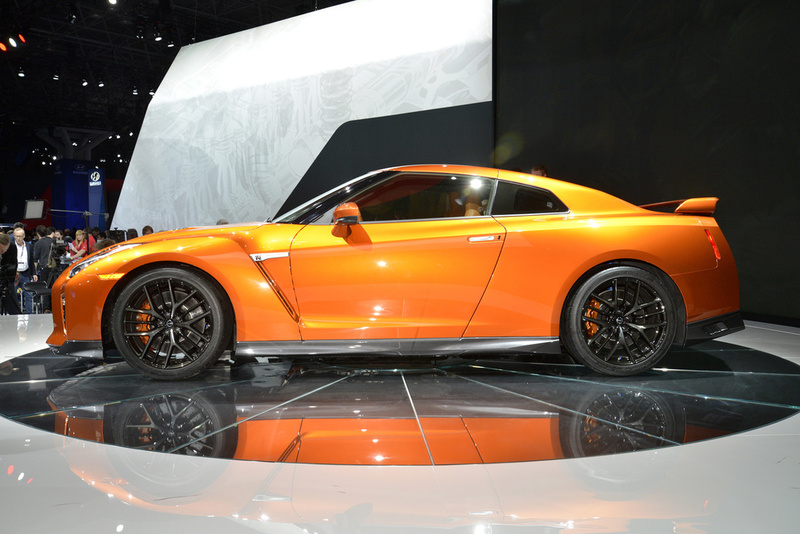 The facelifted Nissan GT-R is making its debut at the New York International Auto Show. A range of design tweaks, performance enhancements and new features are said to represent the most significant changes to the model since it was introduced in 2007. 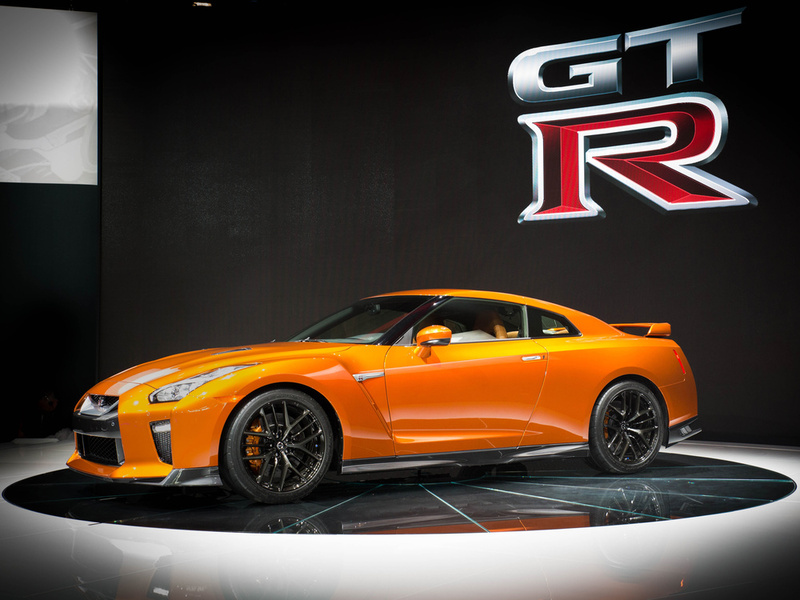 The latest GT-R’s front end makeover includes the new chrome matte finish “V-motion” grille – enlarged for improved engine cooling – with an updated mesh pattern, while the new bonnet has been reinforced to help improve stability during high-speed driving. A redesigned front spoiler lip and bumper with finishers situated immediately below the headlights are said to generate high levels of downforce. The rear of the car has also been revamped with new bodywork to help improve air flow, as well as side air vents next to the quad exit exhaust pipes. The belt line that separates the lower black section from the body panel has been heightened to give the car a wider and more aggressive look from the rear. The 3.8-litre 24-valve twin-turbocharged V6 engine now delivers 570 PS at 6,800 rpm and 637Nm of torque. The improved output, which is the result of individual ignition-timing control of the cylinders and extra boost from the turbochargers gives acceleration in the mid- to high-ranges (3,200 rpm and above). It comes mated to a thoroughly refined 6-speed dual-clutch transmission that features smoother shifts and less noise. That familiar GT-R tone also has been upgraded with an engine that has ‘never sounded better’ says Nissan. The resonance of the new titanium exhaust and Active Sound Enhancement (ASE) enhance the driving experience. On the inside, the entire dashboard and instrument panel are new and covered with high-quality leather. The centre dashboard layout has also been improved and simplified - Integrated navigation and audio controls reduce the number of switches from 27 in the previous model to only 11 in the 2016 model. An enlarged 8-inch touchscreen monitor features large icons on the display screen to make it easy to operate. A new display command control on the carbon-fibre centre console allows easy operation. The paddle shifts are now mounted to the new steering wheel, allowing drivers to change gears in mid-turn without having to take their hands off the wheel. The paddles themselves, along with the ventilation controls, have improved feel and better sound when engaged or adjusted. Cornering abilities have become even better with a more rigid body structure and new suspension, resulting in better stability through quick lateral transitions and higher overall cornering speed. Providing the grip are sticky 20 inch tyres, wrapped around new “Y-spoke” machine-finished forged aluminium wheels. The Recaro Edition will continue to be available but there are also new colours for 2016, inside and out, designed to complement the GT-R’s character. A “Katsura Orange” with multi layered painting has been added to the exterior paint palate, while the leather interior of the Prestige Edition offers customers four different options: the newly added Tan, as well as Red, Ivory and all over Black. 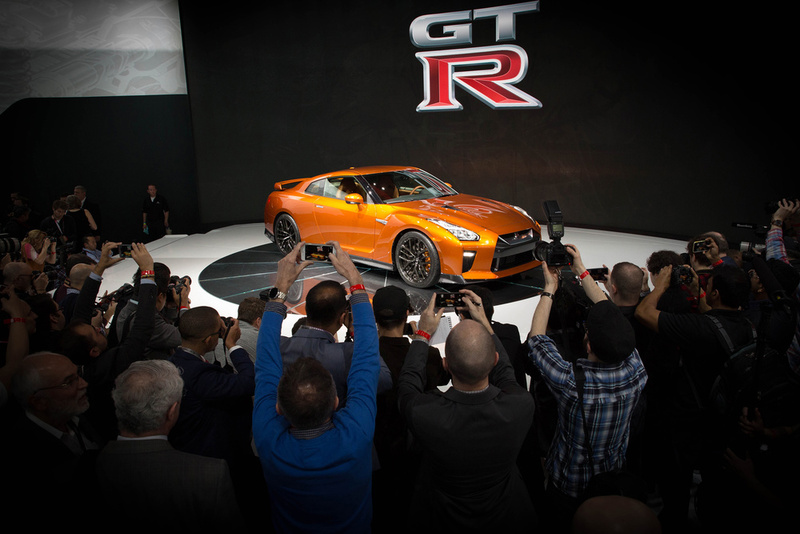 The revamped Nissan GT-R is set to go on sale in the Autumn.